OLD PARKED CARS. 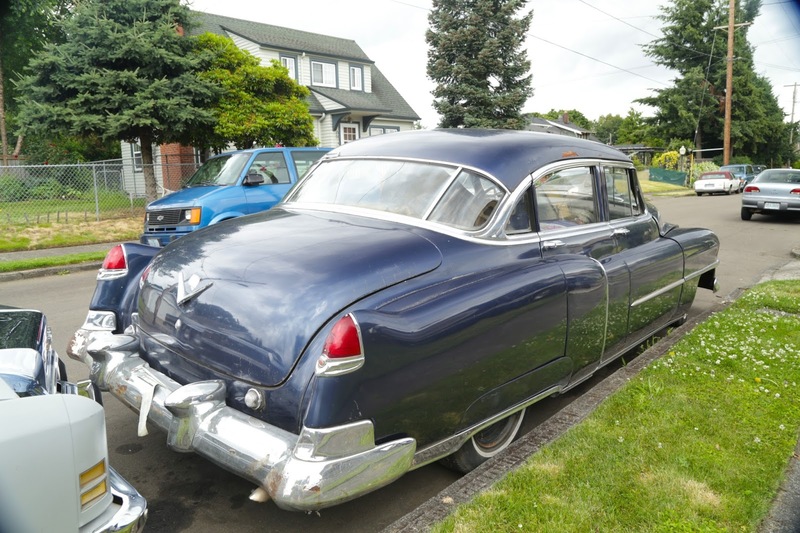 : 1950 Cadillac Sedan De Ville. 1950 Cadillac Sedan De Ville. 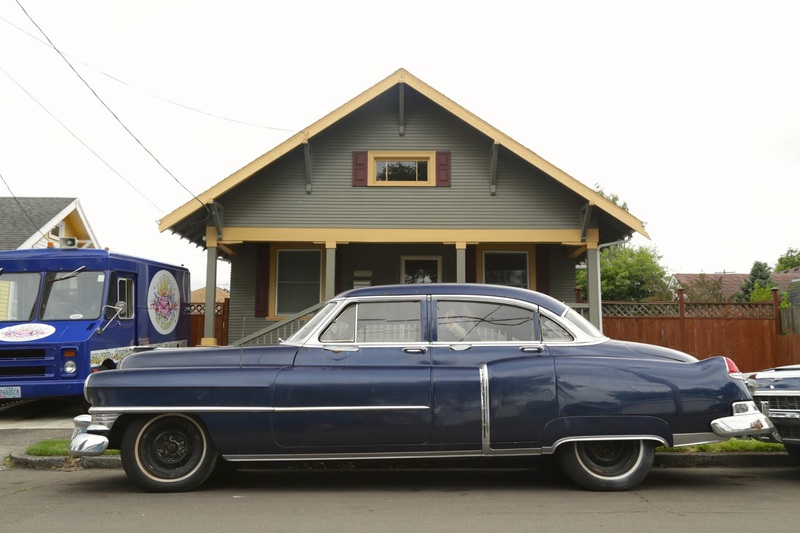 A new scene then appears in front of the same house with a 1959 famous finned Cadillac in the same exact spot. interior too. One thing's for sure, I'd like to be the guy who owns it! Now THIS is a beautiful car. Best of Nomination from me, and for the Dart above too. I'm friends with the owner, and happened to stop by for photos the day he said it was going in for some interior restoration. The stock engine is also going to be cleaned up and get a new wiring harness. I think some major customization and repaint is in the works. here in Auburndale, Fl. I won't let this one get away! 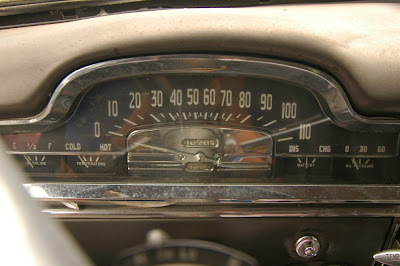 My Aunt had a Chrysler New Yorker from the early 50's, it may have been a '53. It was a deep blue, almost black. She traded it on a 1963 New Yorker. It was that dark green-blue. 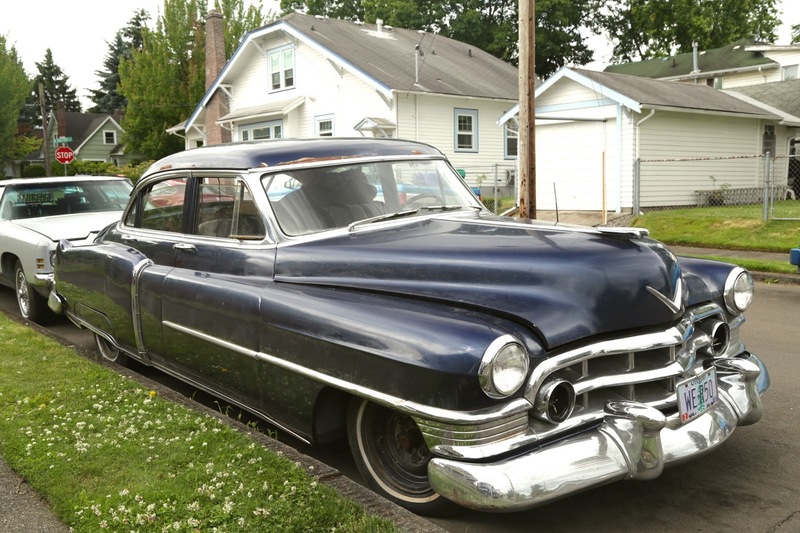 Cadillac owned the '50s luxury car market! Nobody else was close. Domestic or import. 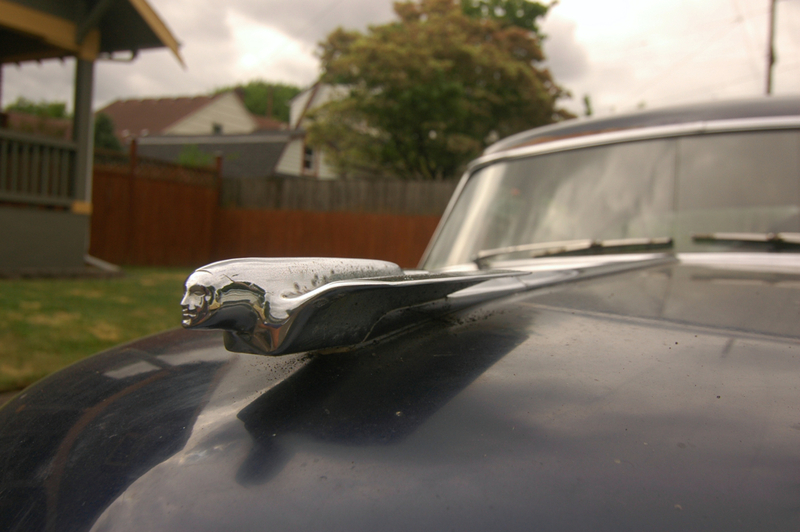 Not Packard, or Lincoln, or Chrysler, or Rolls Royce. Looks pretty good with no hubcaps. The Sedan de Ville was not intoduced until 1956. This is a Series 62 sedan. 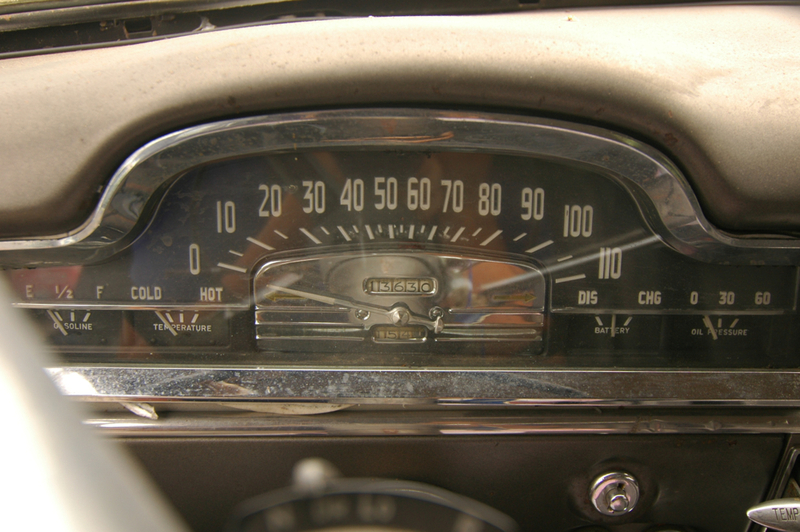 What was the average length of a car in 1950? I would also like to know the average length of cars in the 1940 and how does it compare to today's cars in length.